Since the year 2000, the number of workers employed in the warehouse and storage sector has more than doubled. While brick-and-mortar retail has seen a dramatic dip, the need for order fulfillment from online shopping has skyrocketed. The result is a high demand for these warehouse workers and a stiff competition between warehouses to attract manpower. Warehouse managers increasingly face the challenge of how to hire warehouse workers. Although today’s job market creates new obstacles, there are a few simple ways to attract hardworking personnel to your company. As in any competition, coming up with innovative hiring methods will help you stand out from competition looking at the same talent pool. Companies may have the same generic recruitment process for both warehouse workers, drivers, and management. Yet, not many may be asking themselves how to hire warehouse workers specifically. Establishing a unique employer brand can help improve acquisition. Branding can emphasis a focus on employee well-being, for example. Provide air conditioned working areas and paid breaks for employees to step out and relax throughout the day. Unlike many other sectors, warehouse and fulfillment work doesn’t necessarily require past experience or a resume to identify good workers. When you’ve established favorable working conditions and a solid work community, workers have great incentive to bring on their friends and family. Word of mouth can be powerful to tap into the same talent pools from which your workers came. In addition, offering incentives to your employees like bonuses or time off boosts motivation to spread the word about your company’s need for warehouse workers. Oftentimes, warehouse workers tend to come from much different backgrounds than managers. This creates a divide when it comes to understanding employee needs. Therefore, making simple gestures like learning employees’ names and spending time with them on the floor can dramatically help to know them. Those in an office environment may prize remote work and retirement account contributions. However, warehouse workers may prefer perks such as flexible scheduling or interest-free loans. Understanding these differences will also help to create hiring strategies. Depending on your warehouse’s location, flyers in local restaurants and stores may be more effective than internet postings seen across the country. Know your target audience, and your target audience will come to know you. Staffing agencies simplify the talent search process to save companies both time and money. With relationship networks of both companies and job seekers, staffing agencies are able to quickly fill positions for a number of industries. Another perk is the added benefit of screened candidates before companies hire. 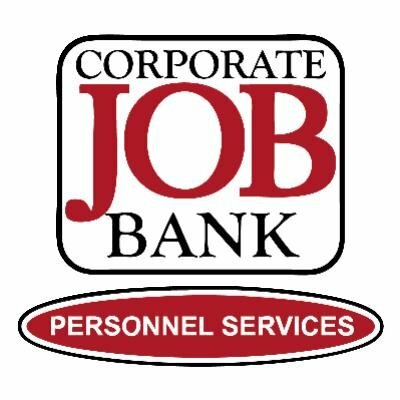 Corporate Job Bank ensures that candidates are an ideal match for a company’s requirements and culture for them to succeed. As the light industrial sector continues to grow, filling positions in areas like facilities maintenance and construction, requires a bit of innovation. By listening to your current employees and standing out from the competition, you can continue to attract top workers.